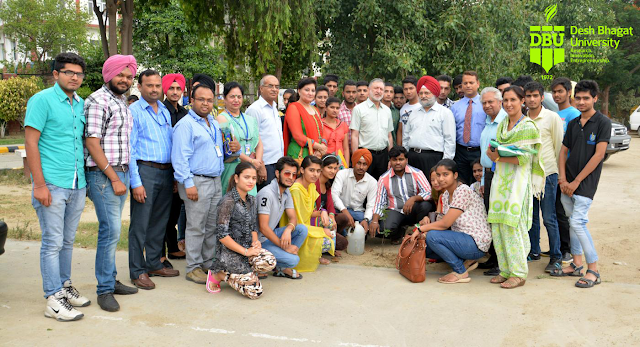 Desh Bhagat University, Faculty of Agricultural Sciences celebrated International Biodiversity Day in a special manner. 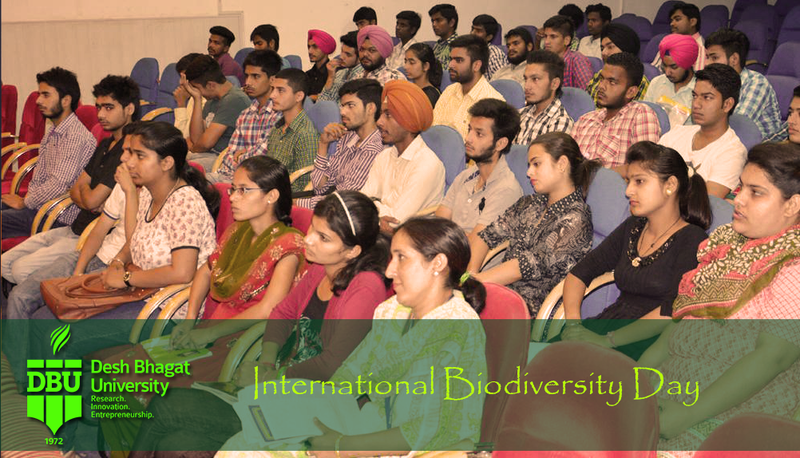 The event was sponsored by Punjab Biodiversity Board, in which, university students participated with full enthusiasm. The progamme was inaugurated by university Chancellor Dr. Zora Singh. Speaking on the occasion, he said that our earth is the only planet where living is possible and Biodiversity helps us in our day-to-day lives. Unfortunately, the greenhouse gases produced by human activities are building up in the atmosphere and causing climate which is a major threat to biodiversity. He encouraged the students to develop such technology; with its help we can reduce the pollution, save our environment and earth. 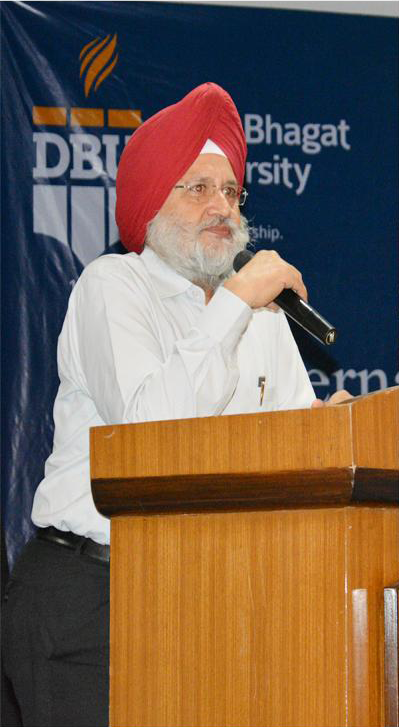 On this occasion, Prof. Amrik Singh Ahluwalia (Professor, Panjab University, Chandigarh) was the key note speaker, who shared his views on ‘Importance of Biodiversity’. He said that Biodiversity is the term used to describe the variety of life found on Earth and all of the natural processes. This includes ecosystem, genetic and cultural diversity, and the connections between these and all species. Dr. Anil Kanujia, (Manager, R & D, Ayurvet, Baddi) spoke about the Importance of Herbal plants in our day to day life. He acquainted the students with medicinal value of varied plants like Amla, Aloe Veera, Neem, Jamun, Peepal, Amaltas and Tulsi etc. Vice Chancellor Dr. Shalini Gupta encouraged the students not only to grow maximum number of trees and plants, but also take care of them. The students evinced a keen interest in this programme and they asked relevant questions on Biological Diversity, Climate Change, GM Crops, Crops Diversifications and some other important topics, which the learned speakers answered very aptly. The function ended with presentation of vote of thanks by Ms. Tajinder Kaur, University Pro-Chancellor and CEO, Hara Punjab Khara Samaj. She appreciated the endeavour of all staff members and students for organizing the event and furthering the vision of Desh Bhagat University in building a greener and cleaner environment.